This recipe couldn’t be easier to make and it really makes Sunday breakfast a little more special. My son had a buddy sleepover this weekend so I woke up a bit early on Sunday morning to make a coffee cake and this maple-roasted bacon which is an Ina Garten recipe from the Food Network. 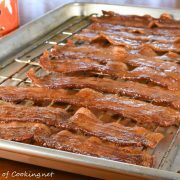 I love that the bacon is roasted in the oven because it is so much easier to make and it’s much less messy! The bacon turned out to be crisp with a nice subtle touch of maple syrup. We all thought it was delicious and it paired nicely with the coffee cake and fresh fruit. Preheat the oven to 400 degrees. Place two wire cooling racks in a rimmed baking sheet. Coat with cooking spray. 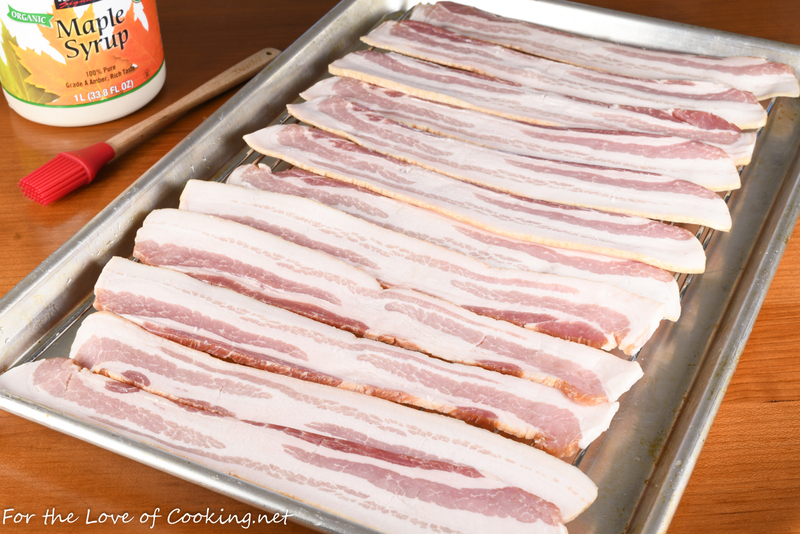 Arrange the bacon on top of the wire racks in one layer. Place into the oven and bake for 15-20 minutes, or until starting to become golden brown. 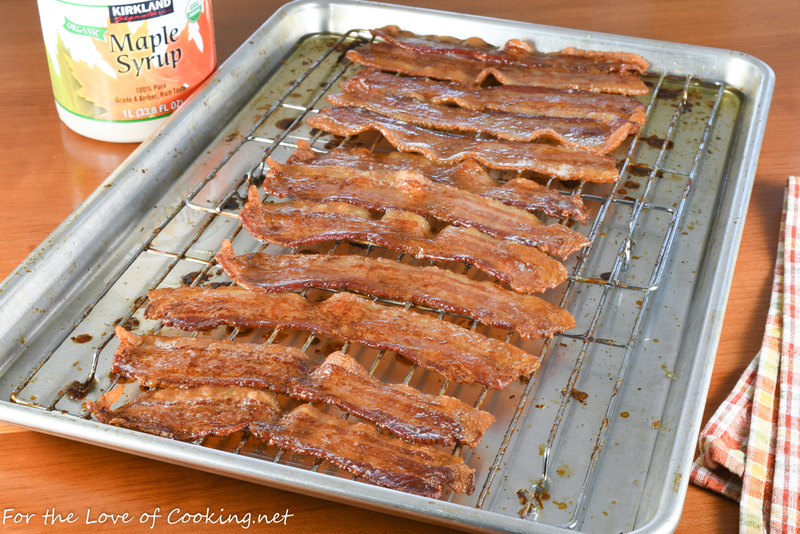 Remove from the oven and brush each slice of bacon with real maple syrup. Place back into the oven and continue to roast for another 5-7 minutes, or until golden brown and crisp. Transfer the bacon to a paper towel lined plate to remove the excess grease. Serve immediately. Enjoy. Place into the oven and bake for 15-20 minutes, or until starting to become golden brown. 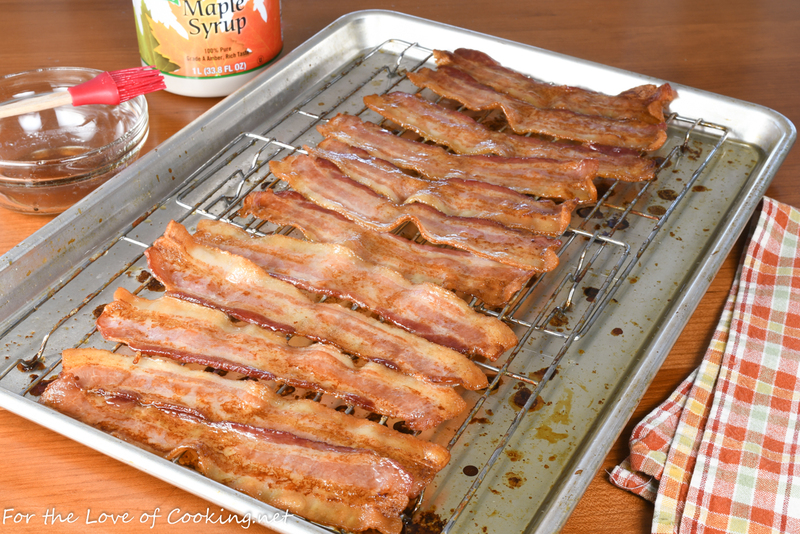 Remove from the oven and brush each slice of bacon with real maple syrup. Place back into the oven and continue to roast for another 5-7 minutes, or until golden brown and crisp. 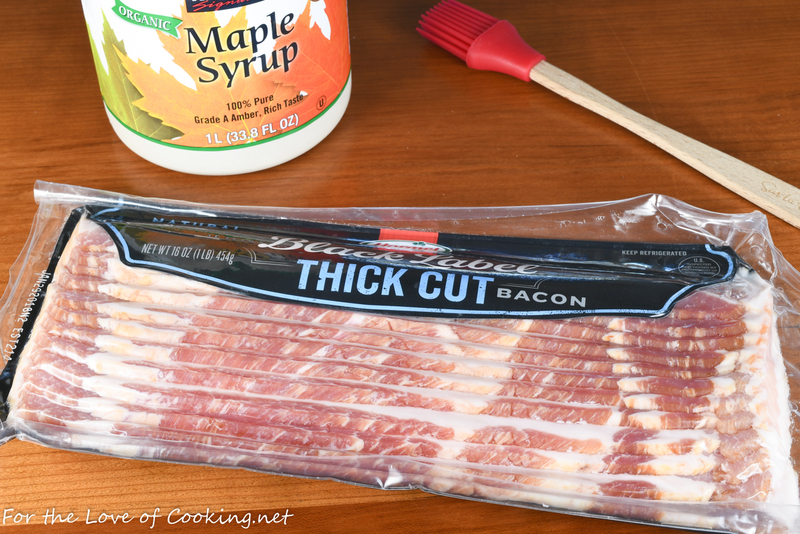 Transfer the bacon to a paper towel lined plate to remove the excess grease. o my my my…sweet, salty and crispy…just heavenly, Pam. What a great recipe. Have to make this next Sunday. great idea! 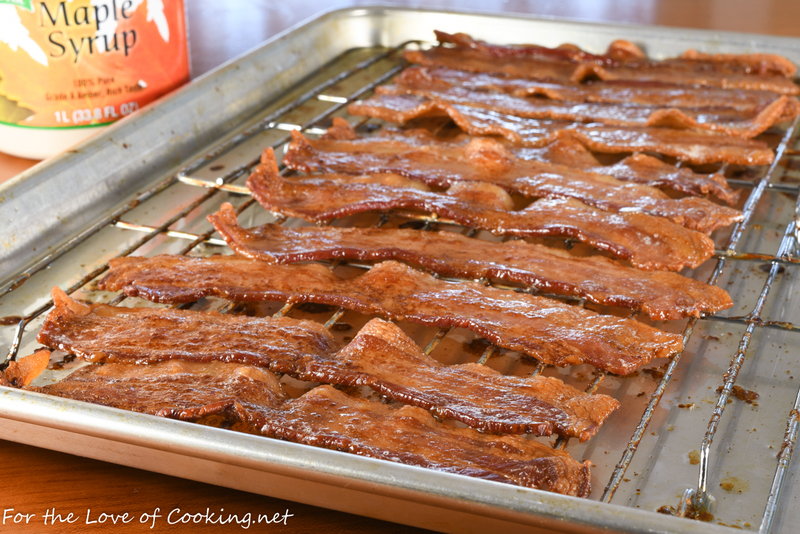 i’ve made many a mess smearing brown sugar onto bacon, and this sounds much neater and probably even tastier! !